Spain’s Prime Minister Mariano Rajoy stuck stubbornly to his script Sunday night while the rest of the world watched an entirely different movie unfold in Catalonia. “There was no referendum. What we have seen was a mere dramatization,” Rajoy insisted. He sounded a little like a Kremlin spokesperson brushing aside a separatist uprising in, say, Chechnya. Nothing to see here, folks. Only there was plenty to see and cameras everywhere to document riot police firing rubber bullets into crowds of peaceful protesters, dragging voters by the hair and using truncheons. The injury estimates were continually revised higher; more than 800 were reportedly injured in clashes with Spanish police. 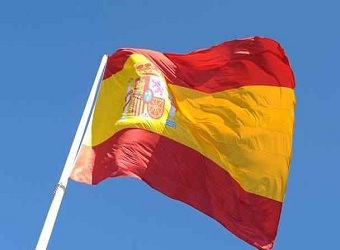 Spanish authorities downplayed those reports. Regardless, the videos that went viral were damning. It’s hard to imagine anything in recent years that could do more to bolster the cause of Catalan separatism. Spain has now been plunged into its deepest crisis in decades; the 1978 constitutional settlement that granted Spanish regions various degrees of autonomy looks to be in tatters. For Catalan separatists, Rajoy’s law-and-order mantra conjured images of General Franco, whose legacy still casts a long shadow over Spain. Puigdemont is completing his transformation from accidental revolutionary to human-rights champion. He must keep promising steps toward independence to keep his movement going. The problem is that Rajoy and Puigdemont each have firmly committed to a path of escalation. A declaration of independence would be the next stage in a rapidly intensifying standoff; Puigdemont says Catalans have earned that right, though it remains to be seen whether parliament would back such a move. Separatist leaders have called for a general strike for Tuesday, threatening to paralyze a region that makes up a fifth of Spain’s gross domestic product and produces a quarter of its exports. Catalans gathering in Barcelona’s central square Sunday evening jangled keys, a reference to the local schools that, in defiance of Madrid, turned over their keys to separatists so that ballots could be cast there. The mood in the square was described as funereal rather than celebratory. Catalans may not have the will to take up arms against the Spanish government, but that is not the same as loyalty; the emotional link to the rest of the country will have been severed for many by Sunday’s violence. That Rajoy managed to accomplish this was some feat. Approval for the referendum barely cleared Catalonia’s own parliament in September; it had nowhere near majority support in polls. Support for independence peaked in 2013 after the Spanish government refused Catalonia’s demands for more autonomy over its finances. A nonbinding vote in 2014, also held in defiance of the Spanish courts, saw 80 percent back a split from Spain on turnout of under 40 percent. In a recent poll, only 35 percent of respondents said the region should become independent. That’s not surprising: Catalans enjoy a relatively good life; whatever their grievances with the Spanish government, many were wary of the economic uncertainty that life outside Spain — and initially at least outside the European Union — could bring. Rajoy was in a difficult position as Spanish leader, but he had cards to play. He had the support he wanted from his EU counterparts. He had support from his country’s highest court, which declared the vote illegal. He had Catalan opinion, Spanish national opinion and fair economic winds all on his side. And while separatist leaders like to paint their movement as a historically fated and united front, the truth is messier; a motley mix of anarchists, anti-capitalists and center-right parties with different agendas and conflicting worldviews had used the cause to build their power base and rally support. From that high ground, Rajoy might have sought to appease centrist Catalans with concessions such as infrastructure spending and eventual discussions on enhanced autonomy. There were some token promises, but as the independence vote loomed, he instead chose to escalate tensions, arresting officials and seizing control of Catalonia’s finances and security apparatus. Rajoy unleashed a barrage of investigations and prosecutions meant to frustrate the vote. Catalonia’s high court — which operates separately from the Generalitat, Catalonia’s government — launched investigations of the Catalan cabinet, on charges of disobedience and misuse of public funds, which is punishable with a prison sentence. There are investigations of regional lawmakers and others connected to the vote. Spain’s own high court submitted a complaint on charges of sedition against some of the protest organizers on grounds that they disrupted the work of federal authorities by calling on protesters to surround buildings where raids were being conducted. Some 700 Catalan mayors have also been placed under preliminary investigation. There are many non-separatists such as ourselves, who, while critical of the unilateral path taken by the Catalan regional government, are calling for a negotiated solution in accordance with the feelings of 82 percent of the Catalan population, who support the holding of an agreed referendum, like the one conducted in Scotland. That is why it is a mistake to think the Catalan question can be resolved by taking legal action against its political representatives: following that path will only help to raise social tensions and block any possibility of finding a way out of the conflict. Rajoy gave Catalan separatists exactly the coup de theatre they needed for a campaign that only a short time ago looked quixotic. Whatever happens next, pro-independence forces in Catalonia have received a powerful boost, while Rajoy’s government has lost legitimacy in the eyes of many. It has also angered the Basque Nationalist Party, on which Rajoy’s weak minority government relies for votes (it had to withdraw the 2018 budget last week for lack of support). “Stop this escalation of radicalism and disobedience once and for all,” Rajoy ordered protesters recently, sounding like an exasperated parent addressing offspring who have grown up, left home and no longer need to obey. He may be right on the principles; as the head of the democratically elected Spanish government, he has the law on his side. But he will get nowhere with those tactics. Therese Raphael writes editorials on European politics and economics for Bloomberg View. She was editorial page editor of the Wall Street Journal Europe.